In May of 2001, I launched a martial arts community with a focus on respectful discussion and a generally family friendly atmosphere. The very next month, Bob Hubbard did the exact same thing. From an outward perspective, you might label us competitors and expect us to dislike each other. Bob Hubbard is a photographer in Buffalo, New York. A native of Western New York, he speaks fluent chicken wing, beef on weck and sponge candy. He has a background is game development, programming and BBSs. Bob started moderating dial up BBSs in the late 80s and writing war games and RPG’s on the Commodore 64. In the late 90s, he transitioned to web design and launched his first web forum in 2000. A small locally-focused martial arts community on a hosted platform, it failed due in part to bad software and poor promotion. In the summer of 2001, he launched MartialTalk.com, and so began a 13 year journey in community building and forum management. This is a partial list of links from the show. This list will be updated to be complete once we have completed our transcript. 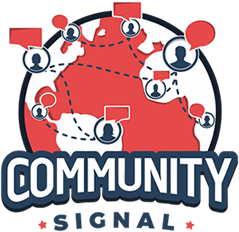 00:04: You’re listening to Community Signal, a podcast for online community professionals. Tweet as you listen using #communitysignal. Here’s your host, Patrick O’Keefe. 00:20 Patrick O’Keefe: Hello, and thank you for listening to this episode of Community Signal. We’re talking about the benefits of being friendly with your competitors with Bob Hubbard, who ran a community on the same topic as mine at the same time I did, focused on a similar audience. Community Signal is now on Sound Cloud at soundcloud.com/communitysignal. We’re building out a little bit of a presence on Instagram as well. You can find the show @communitysignal. If you enjoy the program, please consider supporting the show on Patreon. Thank you to Luke Zimmer, Rachel Medanic, and Sarah Judd Welch for being among those who have already done so. Visit communitysignal.com/innercircle for more info. 00:57 Patrick O’Keefe: This week, on the show, we’re talking with Bob Hubbard. Bob is a photographer in Buffalo, New York. A native of western New York, he speaks fluent chicken wing, beef on weck — new one for me – and sponge candy. He has a background in game development programming and BBSs. Bob started moderating dial up BBSs in the late ‘80’s and writing war games and RPGs on the Commodore 64. In the late ‘90’s, he transitioned into web design and launched his first web forum in 2000, a small locally focused martial arts community on a hosted platform. It failed in part due to bad software and poor promotion. In the summer or 2001, he launched MartialTalk.com and so began a 13 year journey in community building and forum management. Bob, welcome to the show. 01:35 Bob Hubbard: Yeah, it’s good to be here. 01:38 Patrick O’Keefe: You built a very successful martial arts community in MartialTalk.com. From zero to over well over 1.5 million posts, the community currently sits at over 1.7, and you did that with little resources and along the way, picked up a ton of amazing experience. You could be a guest on this show just on the strength of that. 01:55 Patrick O’Keefe: But what makes you a fun guest, for me, and I hope for other people listening as well, is that we were competitors in a sense. Or at least other people would have considered us to be. We both ran martial arts communities, we both went after the generally family friendly respectful niche or audience, if you want to call it that. We even launched around the same time. I launched KarateForums.com on May 21st, 2001, and I think you launched MartialTalk the next month in June. I don’t know how all that happened. I don’t even recall when we met. I looked through my emails, and I have a Facebook friend request from you in 2010, but that was several years into the existence of both sites. So, I don’t know. Do you remember what brought us together? 02:58 Bob Hubbard: Just trying to figure it out. One of the hopes that I’d had at the time was to literally find peers that I could bounce ideas back and forth with, share information, and just generally rather improve the overall community. Because we’ve all run into the problem users, the software glitches. Just being at that point in time and there not being a lot of people who knew what we were doing or could see it from that way, what do you ask? 03:29 Patrick O’Keefe: Yeah, we run into a lot of the same people. It’s funny because whenever I visit other martial arts communities or when I did, it was like you see a lot of the same usernames, which is good, which is great. I always feel like if you make people choose, they won’t choose you. That’s always been my thought process. For instance, my moderator, the staff members, there’s no loyalty pledge to borrow a phrase that’s really out there right now thanks to our president. There’s no loyalty pledge for joining my staff as a moderator. 03:57 Patrick O’Keefe: I don’t want you to not be on other communities. I feel like if I did that, that would just drive people away. It’s funny because sometimes you’ll be on another community… It’s hard to remember these moments, but you’ll be on a community, and then you’ll see this person. You say, “Oh, yeah. I banned that guy.” I bet there are people on KarateForums.com who you may have banned and vice versa. Maybe they learned from you and vice versa. Maybe they learned that they couldn’t act like that on MartialTalk, so they got banned. So, they came over here, and they were better because of you. 04:25 Bob Hubbard: It’s possible. My experience is no. 04:29 Bob Hubbard: Usually, what I find is anybody that we banned, they end up going somewhere else and just sitting there and saying how unfair we were to them when we told them to behave like civilized beings. 04:40 Patrick O’Keefe: There were at least a couple communities, just in my time of running KarateForums.com, that I think I literally created. They could give me a co-founder credit because me banning them or this group of people is what brought them together. At the start of the community, it was such a consistent topic of how awful I was. The tough thing about that is it’s really hard to build community around how awful I am. Eventually, that gets old, and the conversation dies out. 05:10 Bob Hubbard: The one group in question, I just would rather not give them credit by naming them. 05:53 Patrick O’Keefe: There used to be… I don’t know. It might have been you. But in the martial arts forums, there used to be someone for a while who would post announcements comparing the different activity levels in the past month. Was that you? 06:02 Bob Hubbard: That was me. 06:03 Patrick O’Keefe: [Laughs] I always found that funny. 06:05 Bob Hubbard: I would spend a good afternoon and go to every martial arts community that I knew existed and pull up their stats – how many members did they have, how many posts, how many discussions – and just constantly keep the benchmarks to see where we were at. I would look at the content of those forums to see how we were growing. I always tried to put MartialTalk as the mindset of you’ve just had a really good seminar, now you’re in the lobby of the school. You’re putting your gear away, and now you’re shooting the breeze with everybody about what went on and what you’re going to do next. As opposed to some forums had the attitude of no chit chat, just keep it on right on topic. You couldn’t deviate. You wanted to nickname them Red Five because you just know they were going for trouble. Then you had other ones where trying to find any actual meat in the discussion, impossible. 07:26 Patrick O’Keefe: When you were making those lists of the most active forums, I think it helped that MartialTalk was usually at the top or near the top. I can remember… I don’t think we were ever at the bottom, but we were always… KarateForums.com, we were always in the middle of those lists. 07:40 Bob Hubbard: I think so. I got them floating around here somewhere. I haven’t looked at them in years. But there were some sites where they’d be ahead of MartialTalk, and then all of a sudden, they’d be like six or seven below. You go find out they did a cleanup because they only had so much disk space they could actually use that they’d have to go through. 07:59 Bob Hubbard: Anything over a year old or two years old, they would just delete it. That always broke my heart because I’m sitting here going, “You’ve got a lot of discussions that went on, a lot of history, and you just flushed it.” One of the things that helped MartialTalk grow and that was my intent that I would never delete anything unless it was a complete train wreck – that spam stuff. Anything that violated the rules majorly would get nuked, but any historical discussions and that, we wanted to keep. Unfortunately, that got a little expensive because eventually it evolved out of shared hosting, and then we started going up a couple of servers. I think at the point that I sold it, we were on our third server, so it was just a constant growth. 08:41 Patrick O’Keefe: Yeah, that’s one thing people might take for granted these days is just the affordability of hosting a community and being able to scale the hosting side of things, and how that is so much for affordable now than it used to be. But I find it really interesting that you bring up the point about people deleting older posts for the reason of disk space because I feel the same way. 08:57 Patrick O’Keefe: We live in a time right now where… IMDb, for example, who is owned by Amazon. IMDb decided to not only cut off the members but to delete from public view — I would hope they have a copy of it somewhere – the entire 18-year old IMDb message boards in two weeks. Two weeks notice, it’s gone from the internet. That’s a thing that they did. They have money to archive it and throw it up somewhere or at least to take more than two weeks to cut off everybody. But 18-year old message boards. I understand. Obviously, there was an element to it that there was a lot of trolling going on but also, the nuanced movie discussion that existed there. It’s just gone, and there’s so little respect for that. It’s unfortunate. 10:01 Bob Hubbard: Very few people took me up on the offer. They seemed to rather just destroy it than pass it along. I’m trying to think of the exact time. I want to see 2004, 5, somewhere in there. There was a Battlestar Galactica forum. They had a major schism in their membership. The forum decided they wanted nothing to do with the Ron Moore reversion of Galactica that was on SyFy. They wanted to stay true to the original, and so they cut off discussion of the new show. They basically said it’s not allowed. They said, “We’re going to delete all the posts.” It took me a little back and forth, and I managed to get them to send me their thread list. That got integrated into one of my other forums which, unfortunately, is also long since gone. 10:49 Patrick O’Keefe: But you kept it alive for a little longer. 10:50 Bob Hubbard: I kept it alive probably until sometime last year. 10:54 Bob Hubbard: So, just the forum itself had been completely dead for a couple of years, so it just… No one was posting. I couldn’t even get spam bots on there. 11:04 Patrick O’Keefe: Yeah, communities closing, communities being removed isn’t necessarily what I don’t like. It’s the lack of notice, the lack of understanding of the context. This is our culture these days and for the last 20, 30 years. This is a part of our culture; online conversation. I wrote a piece five years ago about how, again, despite the fact that some might expect us to be competitors, and maybe not really engage with each other too much, and maybe even dislike each other, we actually have a – as people can hear – a nice relationship. I’m sure there are other community admins for martial arts communities that either directly or indirectly you had a poor relationship with, but that’s not the case with us. Why do you think it is that we connected like that? 11:45 Bob Hubbard: I think for a lot of the areas that we look at community management, and just dealing with members, and that, I think you and I came to a lot of the same conclusions and had a much similar mindset. 12:58 Bob Hubbard: Or, “I just banned this guy, and he was over at yours bad mouthing.” We’d share all sorts of neat information. It’s that approach, having a positive friendly community, I think that’s one of the reasons why you and I started talking and have continued to talk over the years. 13:14 Patrick O’Keefe: In that piece, I mentioned that I really had no reason to dislike you and vice versa, I hope. Neither of us did anything negative to each other. We both just ran martial arts communities. There were communities that would try to harm us, that would spam us, or try to disrupt our community, or – as we said earlier – would bad mouth me or the community for whatever reason. But that wasn’t you, and it wasn’t me. There was no reason for me to dislike you. 13:41 Bob Hubbard: I’m glad to hear that because I know there’s a few people out there still complaining about me. 13:51 Patrick O’Keefe: Yeah, I was at a panel at South by Southwest with some veteran community people, and one of them was Heather Champ, who was director of community at Flickr years ago. At the start, they did a portion where they had each written their favorite vulgar name someone called them on the back of their nameplates that were on the table, and then they all turned them around. Because they had this name that someone had called them once. So, it comes with the territory. I guess you kind of touched on it, the benefits of having a friendly collaborative relationship are that… kind of like any industry group. When you think about… Why do you join associations? Whether that’s associations for photographers, or associations for community professionals, or any industry. Why do you join up with those groups? Well, if we’re being honest with each other, and it’s not just some sort of superficial relationship, it’s to share the challenges that you face and to learn from one another. It doesn’t even have to be a public thing. I don’t remember ever saying in public, “I like Bob at MartialTalk.” I don’t remember public proclamation of love or admiration. But, at least behind the scenes, there are benefits to saying, “Hey” – like you said – “this is happening, that’s happening. Have you heard of this? Have you seen this?” Those common challenges are really the benefit. You won’t necessarily know what those are until they’re actually in front of you. 15:03 Bob Hubbard: Yeah, you figure who knows the challenges and the solutions to those challenges that we face better than us. My wife is a wonderful person, but I can’t talk to her about forums. She actually coined a term, MartialTalk widow, for all the time the admins would spend dealing on stuff away from their families. 15:25 Patrick O’Keefe: That’s funny. 15:25 Bob Hubbard: We ran vBulletin. I think you guys ran… Was it phpBB? 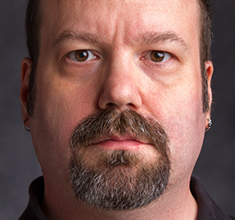 15:29 Patrick O’Keefe: phpBB, yep. 15:30 Bob Hubbard: Well, they’re different platforms, but it’s still, “We’re having a trouble with this. Can you think of this?” “Well, I don’t deal with that, but here’s someone who might be able to help you with that.” It’s great to share that. Or one of us would find a resource for which IP addresses spammers were coming from. Well, that gives us something to work into our block lists. Why am I going to hog it? It’s going to help you out too because rather than you chasing a spammer, now you can build your community. The better your community is – let’s be blunt – the more likely I got some place to go farm and steal some ideas to start threads on my. 16:59 Patrick O’Keefe: “Life is too short. Life is too short for you to try to fit in here if this is not… We’re not trying to change you, and you’re not going to change the community. So, maybe you want to find another community.” The existence of other healthy options out there, I think, does, in the end, lead to a healthier overall space for everyone who kind of plays in that sandbox. 17:18 Bob Hubbard: Yeah. I talk to a lot of people about different things. I did web development, I did web hosting, I build WordPress sites with my photography. There’s certain niches that I love doing, and there’s certain niches I absolutely hate. Well, I know people who do websites, I know people who do hosting, I know other photographers, I know graphics designers. They’re all my competition. But you come to me and say, “Hey, Bob, I’m getting married. I need a wedding photographer, and I got 300 people coming.” Okay, that ain’t me. I do not do large weddings. I do, however, know several of the best wedding photographers in western New York, and I’ve seen their work. 17:56 Bob Hubbard: I’ve talked to them a little bit, and I can say, “Hey, I can’t help you, but talk to this guy. I think he’s got the style you’re looking for. Talk to this gal. She’s the one that you’re looking for that’s close intimate shots. Talk to them. Oh, you want anime style art work. I can’t do anime. Talk to this person.” I always looked at the forums the same way. You have a slightly different approach than we did. Budoseek had a slightly different approach than both of us and so on and so forth. It’s like, “Okay, you’re looking for this. This community over here seems to better fit. Why don’t you go check them out?” MartialTalk, we grew out of the FMA, specifically Modern Arnis, because Tim Hartman, who was user number two – he was pretty much my co-founder – was big on the seminar circuits. At that time, he’d go do a seminar. He’d tell people, “Hey, we just launched this community. Come check it out.” Well, they check it out, and it grew from there. Well, then he started doing stuff with the guys in the Parker’s Kenpo. Same thing, “Come check this out.” So, MartialTalk, Modern Arnis, Parker’s Kenpo, those were the two big areas for that site. 19:01 Bob Hubbard: What didn’t we have? We didn’t have a large MMA community. We didn’t have a large Chinese martial arts community. Well, there were forums for those things. Over time, you grow sections, but there’s just certain arts that we never could really get any traction in, and other communities had it. It’s like, “Guys, go check them out.” It’s like, “You’ll be happier over there and less likely to cause us headaches. But more so, you’re going to find your information there.” That’s just the way I look at it. I want to know who’s the expert, so I can help my customers. 19:34 Patrick O’Keefe: So, we have spoken a little bit about problematic members. Speaking of that, there is a large martial arts community that has a reputation for, to say the last, uncivil discourse, which is fine. If you want to have a community where people are nasty to each other, or disrespectful, or they personally attack one another, that’s fine. No problem, their problem. Or, at least as I see it and at least a substantial of their membership that has been encouraged by management, is that they want everyone to be like that. 20:01 Patrick O’Keefe: If you are not like that, if you do not take the same approach to your discussion and your discourse, then you might have a problem with them. For example, we have a problem with them, and I had a long time moderator, wonderful person, who has multiple sclerosis. As part of a thread where they were criticizing our community, they posted a picture of her and critiqued her physical appearance. The administrator actually participated in that thread. That told me about all I needed to know about that particular community. I don’t think I ever even told her, because why? I didn’t want to hurt her feelings. I just sort of kept that to myself and dealt with it accordingly. But the people who run this community have allowed and therefore encouraged members to use the forum to sort of plan and execute, I guess what I would call, coordinated campaigns to disrupt other online communities that don’t see things as they do. There’s a term, “brigading,” that gets thrown around, that pretty much covers it. 20:56 Patrick O’Keefe: Basically, a group of members, small or very, very large, hits your community and then tries to disrupt the normal flow of interaction, violating your guidelines, kind of try to cause chaos. A lot of it tends to fall into generic trolling, at least in my experience. They did it to us, and they did it to you. So, I thought it would be fun to talk about how we dealt with it. What was it like from your end? 22:23 Bob Hubbard: He has to show up for work, but he can’t say anything. That’s kind of hard. But that was one of those other things. When we had problematic users, I’m probably the only forum administrator who’s ever actually been actively suspended from his own community for violating the terms of service. 22:38 Patrick O’Keefe: Mind you, we’re not holding this out as an example. 22:41 Patrick O’Keefe: Not necessarily, but I appreciate the honesty. 22:44 Bob Hubbard: Yeah. It was the whole thing. The boss isn’t above the law. 22:48 Patrick O’Keefe: That’s right. Guidelines have to apply to everyone. 23:09 Patrick O’Keefe: So, with this brigading, did you ever… I know vBulletin has, I think – I don’t know how to pronounce it – but maybe Tachy Goes to Coventry, sort of the troll hack, global ignore, simulated down time type of thing. 23:19 Bob Hubbard: Yeah, we used that once or twice on a few of them. Sadly, vBulletin doesn’t necessarily need that function to act weird. It just seems to… Version 4 had all sort of hiccups with it. I don’t know what version 5 is doing these days. But version 4, it seemed to have it coming up as the default for everyone. But we’d block them, we’d limit them, we’d do what we could, we’d keep an eye on it. I was fortunate that I had a lot of good moderators. Very rarely did we have to fire mods. The one mod we had to really fire quickly was a – trying to remember the term – a co-admin on one of the other forums. He came in with the idea that, well, we were going to give him the keys and the nuclear codes right off the bat. 24:03 Bob Hubbard: It’s like, “Dude, we’re going to bring you up to our system.” It wasn’t good enough for him, and we had to get rid of him. Eventually, he got banned from his own forum, too, so I guess I was validated. But we just track all these things. There were lists on there – list guy signed up with this username. By the way, here’s the other ten he has signed up with. And just track all this stuff. Every communication that we would send out was noted in his file. So, any moderator who would have an exchange, and that was somebody we recorded. So, of course what comes back came to us at the time was, “Well, how come you guys are ganging up on me? I was talking to him. How come you’re coming in?” “Because he’s off duty, and I’m on duty. The afternoon manager went off, and now the evening manager is on duty. He’s picking up the problem where the other guy left off. That’s customer service.” If you call up the phone company, and you’re having an issue with the phone company, you don’t want to wait two days until the tech you were talking to comes back on duty. You want it fixed now. We always went with that approach. But this particular forum, they just kept coming. Literally, you’d see it come in waves. It was like watching a pirate movie. Prepare to repel boarders. 25:12 Patrick O’Keefe: I think this is a case where… I talk about how there’s nothing wrong with being number two through ten depending on the size of the space. I don’t know if I want to say… I don’t know activity wise. There were busier martial arts forums than MartialTalk probably, but it was a busier forum than us. So, to that end, it’s kind of like… Twitter has a huge problem with trolling and with bullying because it’s the platform people want to be on. So, when you have the more activity, and you’re attracting more people, you’re more of a target. So, I think MartialTalk, in some way, was more of a target than we were. Although me not being a martial artist sort of made us a target in some ways I should say because some people didn’t like that which I can understand on some level. I’ve always been honest about it. But you were more of a target, so you attracted more people and more of that attention. But we had it sometimes. 25:57 Patrick O’Keefe: My thing to moderators was always… it was a few simple things. The number one thing that we could wrong that would make them successful was that if we turn this into a witch hunt where we were just blocking people that we don’t really have any good suspicion, or good evidence, or good proof. We’re just blocking people to be defensive. As much as possible, just maintain the same process. Look at every post. If the post violated the guidelines, you remove it. You document it. If they do it several more times, do it again, or whatever the repetitive behavior is, okay, then they’re banned. But let’s just take it one thing at a time because we could afford to at that activity level. Take it as it is, handle it, move on. Now, it was obvious in some cases that was going on, and that was dealt with. But it was like, just go through it, remove it, document it, handle it, never comment on it in public, never say anything in public about it, never complain, never mention them, never give them any attention other than their removal. If they want to celebrate that, by all means. Celebrate that on their community, I don’t care. 26:55 Patrick O’Keefe: But on our community, just clean it up if it happens. It’s just another moderation thing. It’s not the end of the world. We’re not going to give them attention. More often than not, for us, really they would go away eventually. They would stop coming because they didn’t get the attention. We could remove their post, we could remove all replies to it. There was no public gratification for it. If you like being banned, and you like receiving a message from a moderator, then I guess that’s your life. That’s fine. But if you were going for public attention, you weren’t getting it from me or anyone else. I installed the Troll Hack for phpBB, which is similar to Tachy Goes to Coventry and to simulated down time. We used that a few times when it became clear it was the same person over and over again. I want to say we had nine or twelve people like that in our database over seventeen years. It wasn’t too bad. But I think the worst thing you can do is let them get you out of your sense of normalcy. When you are changing your processes too much, or you are panicking, then they’re winning a little bit. So, I just try to stay calm. 27:51 Bob Hubbard: I told the staff, I said, “We could argue behind the scenes all we want – disagree, rant, rave, scream, whatever. When we get out in public, it’s all the same face. We’re not going to publicly dispute with each other. The group is going to come to a consensus, and that’s what’s going on. Don’t argue with people in public. Lock a thread, or throw them up the food chain. If it keeps going too far, refer them straight to me.” We grew to the point where we started having layers. Super mods were tasked, basically, with handling all of the public end, and I kind of faded to just dealing with the really high end stuff and making sure that the software kept running. I kind of liked that a little bit, but it was always making sure, “Okay, we got a new mod in. Let’s bring him up to speed.” We had a moderator handbook that explained to what they could and couldn’t do at each level and what we expected of them. There were some that didn’t cut the mustard, as it were. Most of them did though. Like I said, I had good people. 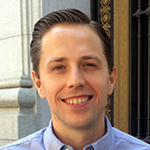 28:47 Patrick O’Keefe: Depending on who your community serves, you have different challenges. Some groups might be more sensitive to advertising. With martial artists, there are some tough guys. The martial arts are at least partially about combat, and that training can sometime cultivate ego. 29:03 Patrick O’Keefe: Not the martial arts themselves. I’ve met so many nice martial artists. The martial arts, at their best, contribute to a well rounded person and make people better. The martial arts are great, but sometimes they do breed tough guys who then register in our forums. What types of threats have you received? 29:18 Bob Hubbard: Everything from the just they’re going to rough me up to at least two or three death threats. The irony is that in at least one of those cases, the person it came from, it’s like, “I never said anything to them.” I made a vague comment. I think the exact words were, somebody was taking advantage of one of the late grandmasters for their own benefit. They were kind of a scum bag. This guy just came back out of the blue saying if he saw me, he was going to stab me. It’s like, “You’re just talking figuratively, right?” He’s like, “No, no. I’m going to gut him like a fish type of thing.” I’m like, “Wow. This is public. You’re admitting your death threat here.” Made peace with him years later, but it was just that’s how strong the emotions can run. 30:00 Patrick O’Keefe: What’s that like? What do you say? “I was an idiot.” What makes the peace with that? That’s an odd story. Usually, that doesn’t happen. 30:05 Bob Hubbard: Yeah, it’s just one of those things. Emotions ran hot at a bad point in time, and it was like just kind of put it behind us. It wasn’t like, “I’m sorry I said it.” Not the type of person who would ever basically make that kind of a statement, but it was kind of, “It was bad for everybody. Let’s just move on.” “Sure, let’s move on.” I got other things to do with my time than sit there and hold a grudge. I think I offered to do a portrait of him too. 30:30 Patrick O’Keefe: Yeah, as long as there’s no knives involved. Yeah, I’ve got some threats like that, probably a couple of death threats. There are so many black belts. So, there are so many authoritative martial artists out there. There are so many world champions. to kind of play on the Jim Carrey In Living Color sketch from so many years ago. I just remember I had this memorable interaction with a world champion kickboxer. He was just so bothered by the fact that I was telling him he couldn’t promote fights on KarateForums.com. 31:01 Patrick O’Keefe: It just bothered him for some reason. Like I did not have the authority to tell him, a world champion kickboxer, who was using his real name… I didn’t have the authority to tell him he could not promote fights on the forums. He got pretty nasty, and he complained. But I don’t know. You hear about keyboard warriors, and I think martial arts forums definitely get their fair share. 32:58 Bob Hubbard: “I could tell you I’m a third degree. I could tell you I’m a black belt. You know what? Let’s get on the floor. You show me your art, I’ll show you mine, and we’ll let people decide if we know what we’re doing. It’s not a challenge to a fight. It’s just some kata or something. Because it’s not worth anyone getting hurt over. It’s a web board.” It was just the whole martial arts rank is a numerical number that keeps score in a system. It’s a way for the guy who runs the school to know, “Okay, he’s in this program. He’s in that program.” Beyond, you get it. Honestly, a tenth degree Isshin-ryū black belt, is he better or worse than a tenth degree Modern Arnis black belt? You don’t know until you see the guys do their stuff. Somewhere on a beach, somewhere in the tropics, there’s a guy who has no rank whatsoever who could, with one hand behind his back, beat up seven of these high ranking guys. They get so caught up on a number. You have the guys who jump from one organization to the other with the promise that, “Well, you’re a fifth degree here. If you join my organization, I’ll promote you to seventh.” But you’re no better than you were, you just got an extra notch on the belt. Well, two notches. 34:00 Bob Hubbard: You run into these guys who take a numerical rank so seriously, and it doesn’t really matter. It’s the knowledge that you have, it’s the type of person you are. I had people come to me, and they say, “Well, I want to be a moderator.” “Why do you want to be a moderator?” “Well, I want the badge.” “That’s nice. Go show us you can do it.” “Well, I need the badge.” “No, go be a mentor.” Which was a rank we had on MartialTalk for people who wanted to be moderators or who we saw were forum leaders. These are the guys who, without being asked, would go out there and help the noobs, that would calm down the threads that were getting out of control, would share information, were the positive influences for the site. Those were the guys we looked to first when we were looking for new moderators. I found that a lot of the guys who came up and said, “I want to be a moderator,” usually the more they wanted it, the less likely they were going to be a good one because they were fixated on the title. 34:57 Bob Hubbard: They didn’t want to do the work. With these other guys, they were fixated on being known as this rank. You’d go to a seminar, and you’d meet them. They wouldn’t walk up and say, “Hi, I’m John Smith.” It’s, “Hi, I’m Grandmaster Smith.” “Okay, so your first name is Grandmaster. Is it on your driver’s license?” They didn’t like it when you said stuff like that to them for some reason. 35:18 Patrick O’Keefe: So, you sold MartialTalk.com as well as KenpoTalk.com to Forum Foundry in 2014. Talk about the process of selling your forum. Where did you start? 36:04 Bob Hubbard: Obviously, they didn’t think it was worth this much, so we’d constantly go back and forth, and back and forth. Over time, the offers started to be more and more appealing. So, in the case of MartialTalk, we got the point where a guy approached me, and he said, “I think I can get you good money for it.” “Okay.” I was really, really, really burnt out, and it was showing. So, I said, “Okay, I’m going to consider this.” We did some back and forth, and I said, “Okay, here’s the catch – MartialTalk and KenpoTalk, they are so tightly intertwined. I cannot easily separate them, so it has to be a package deal. So, we negotiated that. I had a couple of other domains that went with it because we had a couple of ezine sites. We did a bunch of back and forth. There’s a whole bunch of non-disclosure stuff that gets sent in. I ended up with a… it was a two year non-compete. 36:59 Bob Hubbard: So, for two years after I sold the martial arts site, I wasn’t allowed to launch or admin another martial arts site. We had to pencil in an exception because I was also co-founder and admin of FMATalk. It literally limited me to basically making sure the site stayed up. I’m like, “That’s fine because I don’t want to deal with the stuff anymore.” I tried to talk to the owner of FMATalk, I said, “Bundle it, too. Let’s get rid of it all.” He’s like, “No, I want to keep the site.” “Okay, you keep the site. I’ll teach you how to do PHP programming.” It didn’t work out. 37:36 Patrick O’Keefe: Do you feel like you received fair value for it? Kind of the context for that question is that I feel like a lot of the best communities in specific verticals, niche communities, whatever you want to call them – the best martial arts, the best knitting, the best boating, the best whatever of communities – many of them were launched not by big corporations or companies but by individuals who wanted to run a community about that topic. 38:00 Patrick O’Keefe: They became large. Didn’t see that coming necessarily, it just happened. They become vertical leading communities. Then that’s when they get burnt out, and they have trouble with scale or something along those lines. Then they look to sell the community. I think that sometimes companies step in. Whether that be a forum network which is a thing or someone else – a media company or a company that operates in the vertical like a martial arts equipment company, Century Martial Arts, someone like that. They step in and buy the community, and maybe the community owner doesn’t necessarily have the knowledge to receive fair market value. Sometimes the founders, like in a lot of things, sometimes get taken advantage of. So, it’s in that context that I ask, how do you feel about the process you engaged in, and how do you feel looking back at it? 39:54 Bob Hubbard: So, I wanted to do good by my members. I didn’t want to sell to a company that was just going to simply come in, fire all the existing moderators, put their own people in, and turn it into just a monster banner ad bombardment type of thing. So, I did a lot of careful evaluation before hand, and that was part of the process is looking to: Are these guys going to do good by my people? My people did good by me for years. I need to do good by them on the way out. Three years later… I’ve had some contact with the guys at Forum Foundry. Every so often, an issue will crop up or something, and I got to drop them an email and say, “Hey, can you look into this?” They’ve been very good about getting back in touch with me and taking care of any issues I’ve made them aware of. Overall, the site has continued without them doing too many major changes to it. That was important. So, I haven’t been in there that much the last year or two. I pop in occasionally, say hi, check and see what’s going on. For the most part, the moderators are all still there. It’s the same team that I left. They are still doing the site, for the most part, the way I left it. 40:59 Bob Hubbard: It’s still continuing to run the way it always has. I think that’s telling in that I sold to the right people from my perspective and that they’ve continued the community. They haven’t gone in and just scrapped it and mangled it. A lot of the members are still the same members. Some of the trouble makers are still the same trouble makers, but it’s still the same site for the most part. Now, they did make some changes. They completely got rid of the politics section which was a good thing. They had their own political sites, and they wanted to focus MartialTalk on the martial arts. So, they literally cut the politics site off and shifted it over to their other site where they could focus on it. That alone made a huge culture change in that I made a mistake. Because, over time, my interests have shifted and because of injury, I wasn’t able to stay active in martial arts, I became more politically minded. So, I spent a lot of time in the political section, and that wasn’t necessarily a good thing for the overall community. 42:03 Bob Hubbard: But I was too close to the problem, too entangled in it, that I couldn’t find a way to make a nice clean cut. These guys coming in with a fresh set of eyes and a little detachment were able to do that. Part of the other reason for selling it is the site, I had took it as far I could financially, but I needed an overhaul. It needed an update on the software, I didn’t have the capital to do that. It needed an upgrade to a new server, I didn’t have the capital to take it that next step. It needed more time put into it to do all of this, I didn’t have it. So, the offer came in at a point in where it needed help that I couldn’t give it. So, part of my reasons for selling it were simply to save it, so it didn’t become yet another site that rapidly just became a place for spam and tumbleweeds or just disappeared. 42:53 Patrick O’Keefe: I totally respect that. I gave away what I think is probably the most valuable community managed, phpBBHacks.com, that used to get a couple million pageviews a month and did really well. I gave it to the most prominent member of the community because the only people who would buy it were web hosting companies who really didn’t know anything – at least the ones I was talking to. It was an open source software project that it was supporting, so it was also in that spirit which is a little different. But the fact that you gave it a chance says a lot, so I can appreciate that. I really have enjoyed this conversation, Bob. Thank you so much for taking the time to chat with us today. 43:29 Bob Hubbard: Any time. It’s been my pleasure. Like I said, I’ve been for the most part retired for two years. To have someone say, “Hey, you did this wonderful thing. Let’s chat about it.” That’s kind of temporary immortality, if you will. We build these communities, they’re our kids basically. We want them to continue, but we also want to be remembered for what we did. So, this has been nice. 43:52 Patrick O’Keefe: I’m glad I could be that guy to bring that up. We’ve been talking with Bob Hubbard, partner at Hubbard Photography and founder and formerly the administrator at MartialTalk.com. To check out his photography, visit hubbardphotos.com, bobhubbardphotography.com, and martialphotos.com. You can find him on Facebook at facebook.com/bobhubbardphotography and facebook.com/martialartsphotography. Lastly, Bob is on Instagram @bobhubbardphotography. For the transcript from this episode plus highlights and links that we mentioned, please visit communitysignal.com. Community Signal is produced by Karn Broad. We’ll back next week.